Doctor Strange is a hero in Marvel Comics known as the Sorcerer Supreme. He is known as one of the primary magical using heroes within the Marvel Universe. 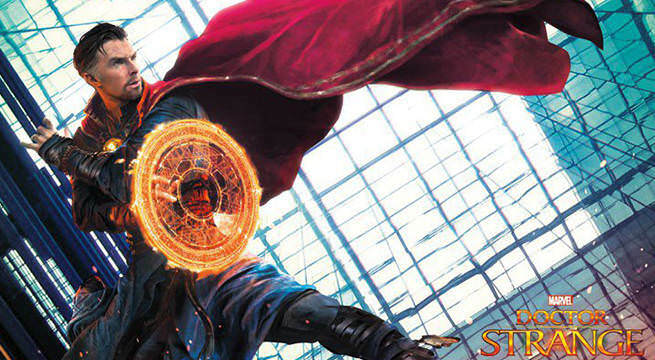 A film for Doctor Strange is currently set to come out in July of 2016. Benedict Cumberbatch has been hired to play Doctor Strange in the film. 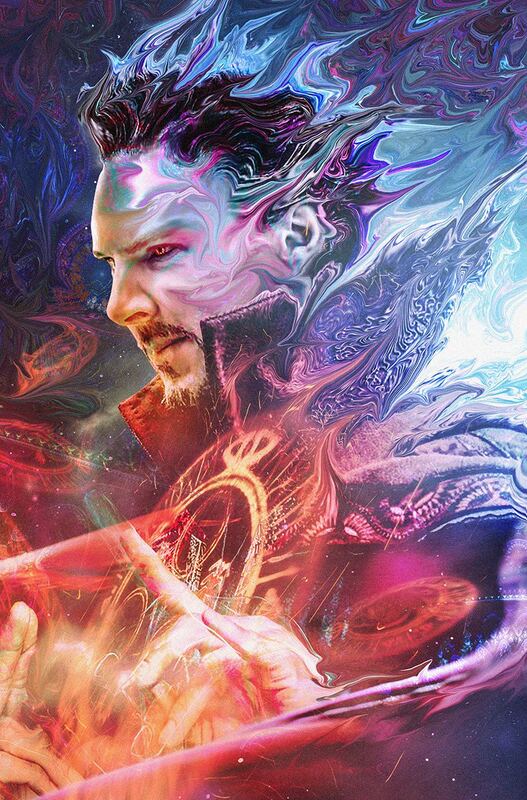 Doctor Strange fan made Opening Sequence is Awesome! Doctor Stephen Strange is a neurosurgeon. He is considered gifted but is self centered and primarily cares about making money. Doctor Strange's dreams of wealth and a high powered career are derailed when his hands are baddy injured in a car accident. The nerve damage in his hands means that Strange can no longer perform surgery. Unable to accept his situation and refusing to change careers, Doctor Strange sets out on a journey to find a cure for his hands. Strange tries pretty much everything, and uses up all of his funds. Now destitute Strange has begun operating in an illegal street clinic. Strange hears a rumor of a special man in the Himalayas with real powers. Strange sets off the trip and manages to find the man who calls himself, "The Ancient One." The Ancient One who unknown to Strange is currently the Earth's Sorcerer Supreme and is searching for his successor. Ancient One sees how selfish Strange is and refuses to heal him. The Ancient One does sense good in strange and castes a spell to try to show it, however this spell does not work. Things seem bleak for the injured doctor. Strange walks in on Baron Mordo the disciple of the ancient one attempting to kill him. Suddenly, when the chips are down Strange's good side finally emerges and he selflessly stops Baron Mordo. Impressed by his good actions the Ancient One agrees to train Doctor Strange in the mystic arts. Baron Mordo is not happy about being thwarted by Strange and he becomes one of his primary antagonists. Working as a disciple of the Ancient One, Strange battles other magical antagonists like Nightmare and the Faltine warlord known as Dormammu. Battling Dormammu in the dark dimension Strange meets an ally and love interest, Clea. Clea is the daughter of Dormammu's sister Umar and ends up following Strange back to Earth and becomes his pupil. When the ancient one dies he gives his title, and magical items to Doctor Strange who takes on the mantle as Sorcerer Supreme. Doctor Strange goes on to become the main magical hero of the Marvel Universe. He is occasionally a member of the Avengers and is always willing to help other heroes with magical issues. At one point Eternity says that Doctor Strange is the most powerful humanoid in existence. Doctor Strange is intelligent, knowledgeable wizard and doctor. He is trained in several martial arts. Many of Doctor Strange's most powerful items come from the mystical entity Agamotto who bestowed the items upon the first Sorcerer Supreme eons ago. Sanctum Sanctorum - A three story town house located at 177A Bleecker Street in the center of New York's Greenwich Village. The Sanctorum possesses a few unique powers. First it is often hidden by illusions such as appearing to be a construction site. There also a variety of protective shields and forces inside the house. The house also appears at times to have vast spaces open inside of it. Doctor Strange is given a variety of powers from various entities. He is said to be one of the most powerful men on Earth. A Doctor Strange movie was released in 2016. Doctor Strange also has an appearance in Thor: Ragnarok and plays a major role in Avengers: Infinity War.